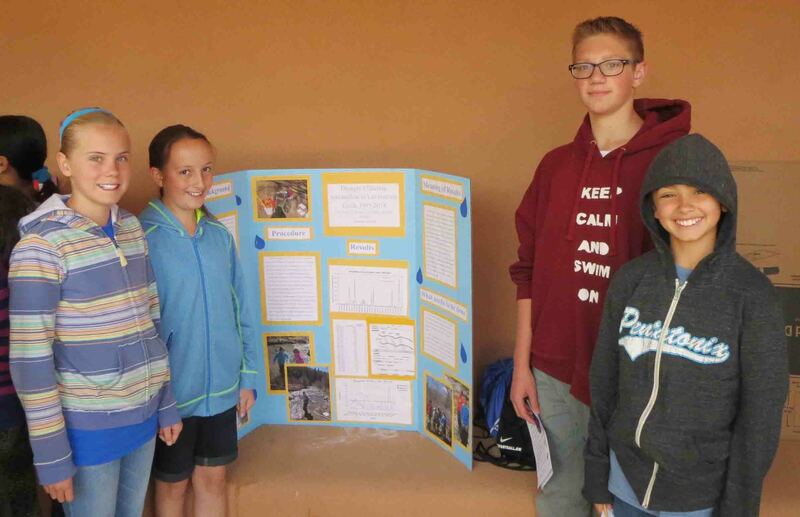 Watershed Watch increases youth understanding of water quality, river ecology and fisheries health through hands-on science in a real-world context. Youth gather data on biological, chemical and physical indicators and make presentations to local data users including acequias, school boards, federal agencies and watershed groups. Students become engaged in environmental studies of issues beyond the classroom that address critical water issues. This is a day long event held at Coronado Historical Monument on the Rio Grande provide teachers and students an opportunity to meet with other schools from around the state and provides a stage in which to report the data they collect throughout the year. Click here to see our Earth Day 2014 event on the Chama River with Escalante Lobos — read the Rio Grande Sun article! Programs for adult stewards can also be tailored to specific interests and site conditions in New Mexico. For a information and cost estimate please contact rich@riversource.net. Youth for a Safe Water & Climate Future engages youth in watershed and energy policy issues since 2003 and has been sustained by the support of the Bosque School, Goodman Youth Leadership Project at the Black Institute, and the McCune Foundation. We bring over 130 youth each year to the NM Legislature to speak to their legislators about issues they care about, including securing a safe water and climate future. We also focus on advancing good policy on the local, state, federal and international levels. The next statewide gathering — Wednesday, Febuary 13, 2019 in Santa Fe. UPDATE for 2018: River Source will host Youth for a Secure Water and Climate Future on Wednesday, February 13 , 2019 starting at 9:45am. The location is not set but will likely be at Mabry Hall near the Roundhouse in Santa Fe. We will be also joining the statewide Land and Water Conservation Day at the Roundhouse so look for us there. The 2018 legislative session will be a “short” one-month session. Unlike the “long” sessions that last 2 months, the 2018 short session lasts one month, there are restrictions on the types of bills that may be introduced by legislators. Unless the bill addresses money issues, legislators will need Governor Martinez’s permission to have the bill go to hearings. Finance related bills still concern all sorts of land, water, climate, and wildlife issues. And this is the last legislative session for Governor Martinez and since she has not been a very strong advocate for the environment, we may see bills that roll back protections for the air, water, land, and wildlife of New Mexico communities. Please keep posted on this webpage for updates on 2018 Hot Legislation, committee hearings on February 6, and related events during the Legislative session. Please know that the goal of the program is to engage youth in finding and expressing their own voices on water, climate, land and water issues. We ask that each student pick an issue and contact their legislator via letter and, if possible, in person on that issue. River Source will share information on some of the issues and legislation but it is ultimately up to the students to chose what they advocate for their water and climate future. Prepare 2 or 3 questions to ask policy makers at the 10-12am forum on January 31st on water, energy and environmental issues. Find who are their local Senate and House representatives, how to reach them by phone, email and their office locations in the legislature. Research what bills their representatives have introduced and/or sponsored (signed on to an already introduced bill) both related to water and not related to water. proposed legislation the representative will vote on any topic the student chooses. concerns about streams, wet areas (including farm land), and lakes the students know and want to protect. suggestions for safeguarding existing environmental protections by state agencies. We suggest all teachers contact your representatives and/or their staff personally to let them know that you are coming. You may ask your legislator to meet with them to ask questions of them directly during the afternoon of February 10 – this can be very exciting for the students. All teachers that have requested meetings in the past have been received by their legislators for at least a brief talk with students. Here is a link to Hot Legislation for 2017 – a summary of current bills being considered at the Roundhouse (click here)! In 2015 120 students went to the NM Legislature on February 4 to claim “It’s My Water & Climate Future!” Safeguarding existing water and energy protections was critical in 2015. Click here to download instructions for youth to participate! Click here to see Hot Legislation from the 2015 session!! In 2014 the Legislature met for 1 month. This short session focused mostly on budget issues and several bills in the legislature will have direct impacts on how water and land is protected, developed and used in local communities where your school is located.